Interesting selection to spend some time swimming in Perth. Is it not your first time here? Tell us how it went using the Facebook comments beneath or contacting us directly! 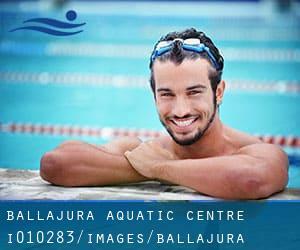 Ballajura Aquatic Centre is only one of all the swimming pools Swimia is providing you, and its details has been shared with us by a swimmer like you.Remember it is possible to now promote Ballajura Aquatic Centre by sharing this page with your buddies, adding comments and linking to us. This sports centre offers 25 meters, 6 lanes, Indoors. Contact info for this Swimming Pool which include phone number and email address are number. If you believe that any in the information is incorrect, please get in touch with us. Assistance us be better day-by-day. Updated on 2019 39 Catalano Circuit , Canning Vale , Perth Metropolitan Area , WA , AUSTRALIA (Postal Code: 6155). Swimmers like you reported 25 meters, 6 lanes, 0.8 meters - 1.2 meters depth, 0.8 meters - 1.2 meters depth, Indoors. Phone number and e-mail address are number for this Swimming Pool. Updated on 2019 Somerset Street , East Victoria Park , Perth Metropolitan Area , WA , AUSTRALIA (Postal Code: 6101). Few days ago a normal user of this centre told us they offer Olympic size, 8 lanes, 1.3 meters - 2 meters depth, 1.3 meters - 2 meters depth, Non-Chlorine Sanitized, Outdoors. Furthermore, they keep in good conditions 25 meters, 6 lanes, 1.2 meters depth, 1.2 meters depth, Indoors. Contact information and facts for this Swimming Pool including phone number and email address are number. Updated on 2019 12 Davies Road , Claremont , Perth Metropolitan Area , WA , AUSTRALIA (Postal Code: 6010). Swimmers like you have reported Olympic size, 8 lanes, Outdoors. Also, you will find 25 meters, 7 lanes, 1 meters depth, 1 meters depth, Outdoors. If you need to contact this Pool, email address and phone number are both number. Updated on 2019 Stephenson Avenue , Mount Claremont , Perth Metropolitan Area , WA , AUSTRALIA (Postal Code: 6010). Few days ago a typical user of this centre told us they offer Olympic size, 8 lanes, Indoors. Furthermore, they keep in good conditions 25 meters, 2 meters depth diving pool, 2 meters depth diving pool, Indoors. For this Pool, only phone number is number here. Updated on 2019 6 Buick Way , Joondalup , Perth Metropolitan Area , WA , AUSTRALIA (Postal Code: 6027). Swimmers like you reported 25 meters, 6 lanes, 0.8 meters - 1.2 meters depth, 0.8 meters - 1.2 meters depth, Indoors. Phone number and email address are number for this Swimming Pool. 54 Terrace Road , Perth , Perth Metropolitan Area , WA , AUSTRALIA (Postal Code: 6000). Swimmers like you reported 20 meters, Outdoors. Phone number and email address are number for this Swimming Pool. Updated on 2019 40 Coode Street , South Perth , Perth Metropolitan Area , WA , AUSTRALIA (Postal Code: 6151). This sports centre offers Olympic size, 8 lanes, Outdoors. Contact information and facts for this Swimming Pool including phone number and email address are number. Updated on 2019 160 Canning Highway , East Fremantle , Perth Metropolitan Area , WA , AUSTRALIA (Postal Code: 6158). This sports centre offers 25 meters, 6 lanes, 0.9 meters - 1.2 meters depth, 0.9 meters - 1.2 meters depth, Indoors. Contact data for this Swimming Pool for example phone number and email address are number. 90 South Lake Drive , South Lake , Perth Metropolitan Area , WA , AUSTRALIA (Postal Code: 6164). This sports centre delivers 25 meters, 8 lanes, Outdoors. Contact information for this Swimming Pool like phone number and email address are number. Civic Drive , Wanneroo , Perth Metropolitan Area , WA , AUSTRALIA (Postal Code: 6065). Among all the activities provided by the centre, should you be considering swimming you will appreciate 25 meters, 8 lanes, 1 meters - 2 meters depth, 1 meters - 2 meters depth, Indoors. If you need to get in touch with this Pool, email address and phone number are both number. 99 Johnston Street , Kalgoorlie , WA , AUSTRALIA (Postal Code: 6430). Among all the activities offered by the centre, should you be enthusiastic about swimming you can enjoy Olympic size x 25 meters, 10 lanes, Indoors. If you need to get in touch with this Swimming Pool, email address and phone number are both number. At the corner of Boas Avenue and Lakeside Drive , Joondalup , Perth Metropolitan Area , WA , AUSTRALIA (Postal Code: 6027). Among all of the activities offered by the centre, when you are thinking about swimming you are going to enjoy 25 meters, Indoors. Just in case you want to contact this Swimming Pool prior to dropping by, we only know the phone number.